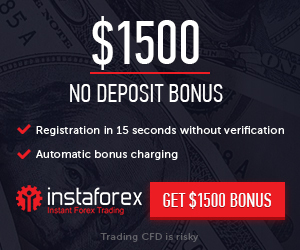 100% Forex Special Bonus Offer to your first deposit Up to $300. Start trading today and in honour of our Irish roots we’ll give you a St. Patricks Day special bonus of up to 100%. Now if you deposit your trading account with just $100 or more, you have a wonderful opportunity to get the bonus 100% from the amount of your deposit and use it for live trading. Tradable bonus is your support in the time of draw-dawn. Expand your trading potential with AvaTrade. Step-3 Trade : Trade on over 250 instruments, anytime and anywhere.